This summer in Hokkaido, we had the privilege of shooting with Alicia Tan (@aliciatal) and Joseph Germani (@josephgermani), who are better known as the Sneaker Couple. Find out more about what Alicia has to say about the advantages and struggles of their high profile relationship. Read all the way to get some juicy updates on their marriage plans! What Do You Love About Joseph? He is very caring, loving, and he is a family guy. He loves my family as much as he loves his. He really takes effort to love me, and of course, he is charismatic and funny too. Awwwwwwww~ Who doesn’t love a family guy? What Is It Like To Be An Influencer Couple? “Well, we are still a ‘normal’ couple that does things that a normal couple does, but the great thing is that we get to spend a lot of time together, we work together, and most importantly, we understand each other’s work. We love working together as we get to team up, learn each others’ strengths & weaknesses and just grow together. It’s a great feeling. Fans of the sneaker couple, behold!!!! This is groundbreaking news and you are getting first hand insider news on it! 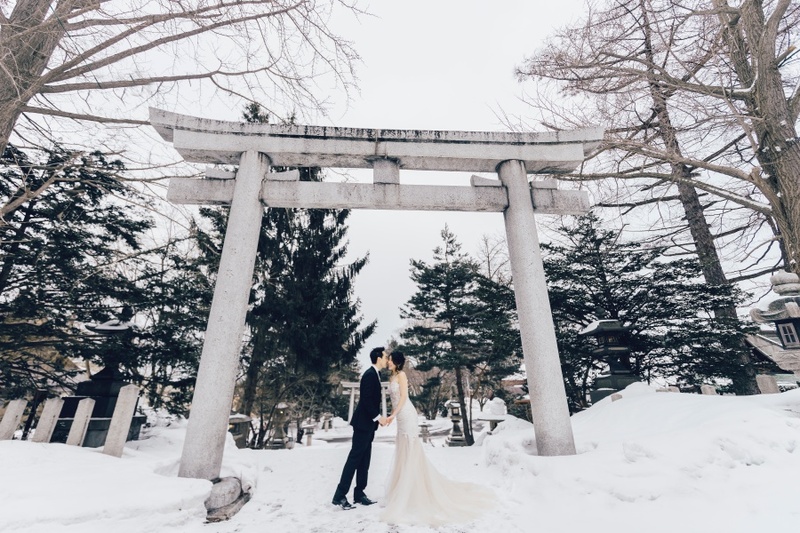 Favourite Photoshoot Location In Hokkaido? 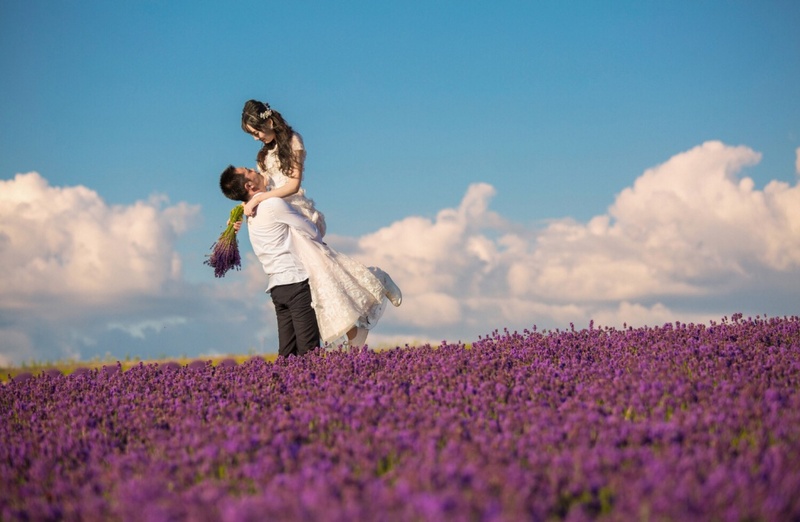 How Did You Feel After This Pseudo-Prewedding Shoot? Yes, we can almost see the sparks flying all over the place as their gazes lock on each other. How Was Your Experience With OneThreeOneFour? “It was a great experience! We get to experience some of the best places in Hokkaido and Kouta is really great with his composition and his trained eye at taking great photos. It wasn’t stressful at all! It was all fun and easy going. Thank you so much to this extremely talented and genuine couple for being a part of our shoot too. 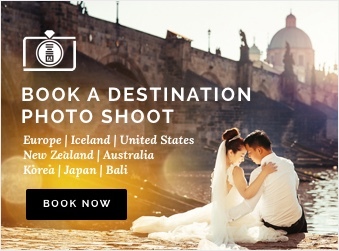 Can’t wait to shoot for you guys again during your actual pre-wedding! As for their loyal fans, stay tuned to our Instagram for more updates on their pictures! 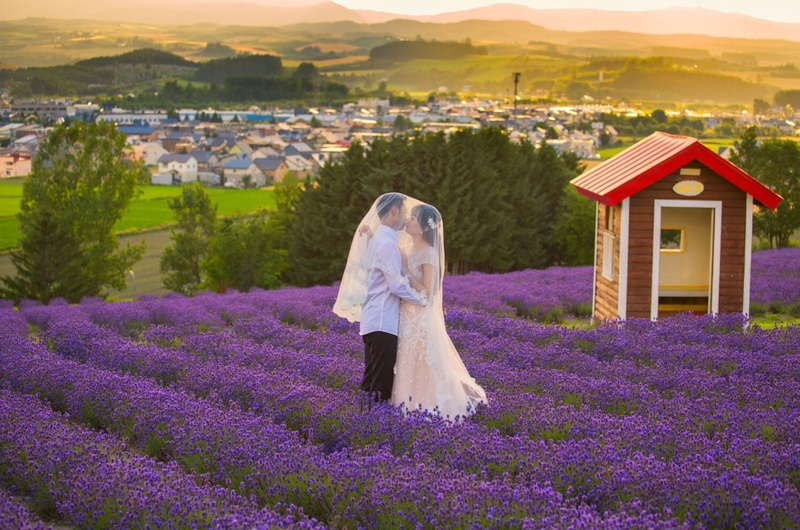 4 Seasons of Pre-wedding Photography in Hokkaido, Which Is The Fairest Of Them All?